Sector: Home Infusion Pharmacy – BioScrip, Inc. (NASDAQ: BIOS) announced that it has entered into a definitive agreement to acquire HomeChoice Partners, Inc. (“HomeChoice”), a leading provider of alternate-site infusion pharmacy services, for $70.0 million in cash. HomeChoice is a majority-owned subsidiary of DaVita HealthCare Partners Inc. (NYSE: DVA). The purchase price is subject to adjustment pursuant to the terms of the agreement including potential additional consideration based on the results of operations. BioScrip also expects to realize the value of a future tax benefit estimated at $3.9 million as a result of the transaction. Headquartered in Norfolk, VA, HomeChoice generates approximately $70 million in annual revenue, services approximately 15,000 patients annually, and has fourteen infusion pharmacy locations in Pennsylvania, Washington, DC, Maryland, Virginia, North Carolina, South Carolina, Georgia, Missouri, and Alabama. “We are pleased to have the HomeChoice team join our organization. HomeChoice is a highly-regarded infusion services company with a reputation for clinical excellence, strong referral and payor relationships and superior customer service. This transaction is also consistent with our stated goal of building our infusion business through strategic and opportunistic acquisitions, which meet our financial criteria and enable us to expand our national footprint,” stated Rick Smith, President and Chief Executive Officer of BioScrip. The transaction is subject to customary closing conditions, including regulatory approval. The company expects the transaction will close in the first quarter of 2013. Sector: Healthcare IT – Brightree LLC, a provider of billing and business management software, has acquired home health and hospice software provider CareAnyware Inc, of Raleigh, NC. The combination of the two companies creates the largest provider of cloud-based software for the post- acute care industry, with 500 employees serving nearly 3,000 companies in the HME, home health, hospice, orthotics and prosthetics, home infusion, and rehab home care segments. “Home care is becoming a critical component of our nation’s ability to provide quality care in a more affordable manner,” said David Cormack, president, and CEO of Brightree. “Brightree and CareAnyware have come together to deliver world-class technology solutions that help providers operate more effectively and improve patient outcomes in today’s challenging healthcare market.” Brightree and CareAnyware are both SaaS-based solutions that allow home care providers to adapt more readily to regulatory changes and new market demands, such as safely sharing patient information across the continuum of care. Brightree plans to leverage each software’s capabilities to improve the other. Sector: Hospice – Sentinel Capital Partners, a private equity firm that invests in promising lower middle market companies, announced it has recapitalized Hospice Advantage, a leading hospice organization that provides end-of-life care, palliative treatment, personal care, and family support services, primarily to patients in their homes. Terms of the deal were not disclosed. Headquartered in Michigan, Hospice Advantage was founded in 2004 by Rod Hildebrant, a veteran hospice industry executive with more than 35 years of experience, to better serve the needs of terminally ill patients. Hospice Advantage currently operates 56 locations in 10 states throughout the Midwest, Southeast, and South. Sector: Pharma – Questcor Pharmaceuticals, Inc. (NASDAQ: QCOR) announced that it has signed a definitive agreement to acquire all issued and outstanding shares of BioVectra Inc., for an upfront payment of C$50 million. BioVectra is a supplier of contract manufacturing services to the global pharmaceutical and biotechnology industry and manufactures active pharmaceutical ingredients (API’s), chemical intermediates, and bioprocessing reagents. BioVectra’s facilities are staffed by approximately 180 employees including chemists, engineers, and technicians. BioVectra had sales of approximately $28 million in its last fiscal year ended August 31, 2012, a 15% increase over its prior fiscal year. Questcor will purchase all issued and outstanding shares of BioVectra for an upfront payment of C$50, million, utilizing cash on hand. BioVectra stakeholders could also receive additional cash consideration, based on BioVectra’s financial results over the next three years. The contingent payments could result in the payment of up to an additional C$50 million. The transaction is expected to be immediately accretive to non-GAAP earnings. Subject to customary conditions, Questcor anticipates closing the transaction in January 2013. Sector: Medical Supply – Ansell (Iselin, NJ), through its subsidiary Ansell Healthcare Products LLC (Red Bank, NJ), acquired substantially all of Preferred Surgical Products’ (PSP) (Birmingham, AL) assets. The deal closed on December 31, 2012. PSP’s products are designed to improve infection control, protect patients’ skin, and optimize room turnover time while reducing total cost per procedure. Sector: Medical Supply – Invacare Corporation (NYSE: IVC) and AssuraMed announced that they have signed a definitive agreement under which Invacare will sell Invacare Supply Group (ISG), its domestic medical supplies business, to AssuraMed for $150 million, subject to certain closing adjustments. This divestiture is consistent with Invacare’s focus on its globalization strategy to harmonize core global product lines and reduce complexity within its business. For AssuraMed, a leader in wholesale and home-delivered medical supplies across the United States, this strategic purchase allows the company to strengthen its position as a leader in the medical supplies industry. AssuraMed Chief Executive Officer Michael B. Petras, Jr., said, “We are thrilled to have ISG as a complement to our Independence Medical business. ISG’s strong position in the marketplace and focus on customer service are an excellent fit with our product portfolio and focus on customer solutions. This strategic acquisition builds on our strengths in providing disposable medical supplies to the chronic disease market. Our new combined customer base will benefit from enhanced distribution capabilities and services that we will be able to provide.” The transaction, which is expected to close in early 2013, is subject to regulatory approval and other customary closing conditions. Subject to certain closing adjustments and any restructuring charges, Invacare preliminarily estimates that it will realize net proceeds from the sale of the ISG business of approximately $140 million, net of tax and expenses. In the near term, Invacare intends to use the proceeds to strengthen its balance sheet and reduce debt outstanding under its revolving credit facility. As previously disclosed by Invacare, net sales for the ISG business were approximate $299.5 million for 2011 and $246.4 million for the first nine months of 2012. Earnings before income taxes were approximate $8.0 million for 2011 and $5.1 million for the first nine months of 2012. Sector: Rehab – ATG Rehab, a leading provider of seating and mobility equipment, is expanding its services in Oklahoma. The company has purchased the complex rehab technology business segment of Medical Specialty Supply of Oklahoma, an Oklahoma City-based provider of specialized and custom designed power and manual wheelchairs and seating equipment, among other items. Medical Specialty Supply has been serving customers in Oklahoma City and the surrounding markets for nearly 10-years, forging a strong reputation for service and expertise with clients and clinicians. Sector: Pharmacy / Specialty – Salveo Specialty Pharmacy, Inc., a specialty pharmacy company backed by Three Arch Partners, NewSpring Capital, and Petra Capital Partners, recently announced the completion of the second round of equity and debt funding, and its subsequent acquisition of Mission Road Pharmacy, a pharmacy based in Los Angeles, California focused on Oncology, HIV/AIDS, Hepatitis, Rheumatoid Arthritis and Mental Health therapies. Co-founded by Jeff Freedman (CEO) and Chuck Brown (COO), Salveo Specialty Pharmacy is a specialty pharmacy company focused on the acquisition and operation of selected specialty pharmacies throughout the United States. With the Mission Road Pharmacy acquisition, Salveo now has clinically-focused specialty pharmacy operations based in New York and Los Angeles, the two largest markets in the nation. Salveo will continue to focus on expanding its current customer base in these and new markets as well as integrating further acquisition targets. The former owners of Mission Road Pharmacy intend to remain with Salveo post-transaction. Sector: HME Supply – Dynamic Healthcare Services, Inc. (“DHS”) a portfolio company of GMH Ventures LLC (“GMH”) announced that it acquired HomeTown Oxygen, Pittsburgh, LLC (“HomeTown”) of Monroeville, PA on November 8, 2012. The terms of the acquisition were not disclosed. HomeTown is a full-service distributor of medical products and equipment including respiratory and sleep apnea equipment in Pennsylvania. HomeTown, with locations in Monroeville and Latrobe, was founded in 2007 and has achieved significant growth in its short existence. Sector: HME Supply – Global Medical Equipment of America (GMEA) announced in November that it has acquired Premier Home Healthcare, Ponce Home Medical Equipment and Bayonet Point, all based in Florida. “We have now added strategic locations to enable full service for the northern Florida area,” stated Vincent DeNoto, area business director for GMEA, in a press release. “These new locations bring the capability to expand our existing Palm Coast operation.” Premier is based in Orlando and Port Orange; Ponce in St. Augustine; and Bayonet in Port Richey and Ocala. “The ability to now service Jacksonville to Tampa will provide our patient and commercial clients with coordinated access to comprehensive health services,” stated Harold Halman, CEO of GMEA, in the release. Sector: Healthcare HR – Press Ganey Associates, Inc., a recognized leader in health care performance improvement, announced that it acquired Morehead Associates, Inc., one of the industry’s foremost employee and physician engagement firms. The acquisition strengthens Press Ganey’s comprehensive suite of patient experience solutions and services while emphasizing the importance of physician and employee engagement in achieving sustainable change in providers nationwide. Sector: HME Supply – Edge Medical Supply of Tyler, TX has purchased the assets of Jones Medical Equipment, a Corsicana-based respiratory and home medical equipment provider. The combination unites two leaders in Home Medical Equipment and Respiratory Therapy in the North Central Texas market. Commenting on the deal, Brian Bersano, President of Edge Medical Supply, “The acquisition of Jones Medical Equipment has further expanded our ability to provide exceptional services while strengthening our unique position within the North Central Texas market. Edge Medical Supply is one of the largest providers of home medical equipment and related products and services in the Texas market with operations in ten locations. Sector: GPO – MHA LLC (Managed Health Care Associates) (Florham Park, NJ) acquired FMS Purchasing & Services Inc (Clearwater, FL) and Rebate Tracking Group (Clearwater, FL) through its subsidiary, Navigator Group Purchasing (Franklin, TN). This acquisition is the fourth such purchase MHA has completed in the long term care and hospitality markets in the last 24 months. Sector: HME Supply – NorCal Respiratory, a provider of sleep apnea and respiratory equipment, recently acquired Intermountain Respiratory from Mayers Memorial Hospital District in Fall River Mills, Calif. “Our experience and success with home sleep testing and sleep apnea management have helped NorCal establish a strong presence in California’s north state medical community,” stated Jim Rehmann, president of NorCal, in a press release. Sector: HME Supply – Graymark Healthcare, Inc. (OTCBB: long termGRMH), the nation’s second largest provider of diagnostic sleep services and an innovator in comprehensive care for obstructive sleep apnea (OSA), announces an equity investment. A newly formed entity, Oklahoma Health Partners (OHP), announced their intent to purchase 1,444,445 shares of common stock of Graymark Healthcare (GRMH) for $650,000 at $0.45 per share. The transaction is expected to close no later than November 14, 2013. Oklahoma Health Partners is managed by Mr. Mike Horrell. Mr. Horrell is a significant investor in numerous healthcare related companies and health care real estate projects. ” Proceeds of the sale will be used for general purposes. “We look for long-term partnership and taking the Company in new strategic directions,” said Stanton Nelson, CEO of Graymark Healthcare. In addition to this investment, Graymark announced a cost reduction plan that will reduce expenses by more than $2,000,000 in 2013. “By reducing our labor force, trimming our corporate expenses and reducing our bad debt, Graymark is committed to right-sizing our company for profitability in 2013,” said Nelson. Sector: Medical Supply/Diabetic Supply – Diabetic Care Rx has received an equity investment from RLH Equity. Diabetic Care Rx the second largest provider of customized nutritional therapy to those patients with the end-stage renal disease who are at higher risk of adverse clinical outcomes because of chronic malnutrition. DCRX’s skilled clinicians work with referring nephrologists and dialysis centers to formulate and deliver the optimal customized parenteral nutrition therapy for each patient. Sector: Healthcare / IT Electronic Medical Records – Phoenix-based Adreima, a Waud Capital Partners (“WCP”) portfolio company, announces its acquisition of National Healthcare Review, Inc. (“NHR”), a national clinical-financial auditing company based in Woodland Hills, California. NHR will be part of a rapidly growing organization that provides clinically-integrated revenue cycle services to hospitals and healthcare systems nationwide, including eligibility determination for medical coverage, medical pre-authorization, accounts receivable management services, post-payment recovery services, audit review and defense, and clinical and technical denials support. With the addition of NHR, Adreima will serve hospitals in 31 states with more than 650 employees, including 145 clinical, audit and coding specialists. Sector: Healthcare – Athenahealth Inc (Waltham, MA) signed a definitive agreement to acquire Epocrates Inc (San Mateo, CA) at $11.75 per share, in cash, for an aggregate purchase price of approximately $293 million. Athenahealth will finance the acquisition with available cash and funds from its existing credit facility. The closing of the transaction is subject to Epocrates shareholders’ approval. Epocrates shareholders, representing approximately 17.5 percent of the outstanding common stock, have agreed to vote their shares in favor of the transaction. Sector: Home Infusion Specialty Pharmacy Amerita, Inc. (Amerita), a provider of home and specialty infusion services has been sold to PharMerica Corporation (PharMerica), an institutional pharmacy services provider. Terms of the transaction were not disclosed. Amerita was a portfolio company of Ferrer Freeman & Company, LLC (FFC), a private equity firm focused on the healthcare industry. “Together, with PharMerica, we look forward to continuing to provide quality services and support to home and specialty infusion patients,” said Jim Glynn, founder, and CEO of Amerita. Amerita, based in Irvine, CA, was formed in 2006 with capital from FFC and the Amerita management team. Through de novo development, acquisitions, and organic growth, the Company is now one of the nation’s largest independent providers of complex pharmaceutical products and clinical services to patients outside of the hospital, with 12 branches in Colorado, Oklahoma, Tennessee, Texas and Utah. As part of the transaction, Amerita CEO Jim Glynn will go forward as the President of Amerita, a wholly owned subsidiary of PharMerica. The sale of Amerita comes at a busy time as mergers and acquisitions are continuing to escalate across the healthcare industry. These transactions are being fueled by many factors including substantial available capital resources and the impending capital gains tax increases. Both private equity and corporate America continue to invest in strong, growth oriented businesses. 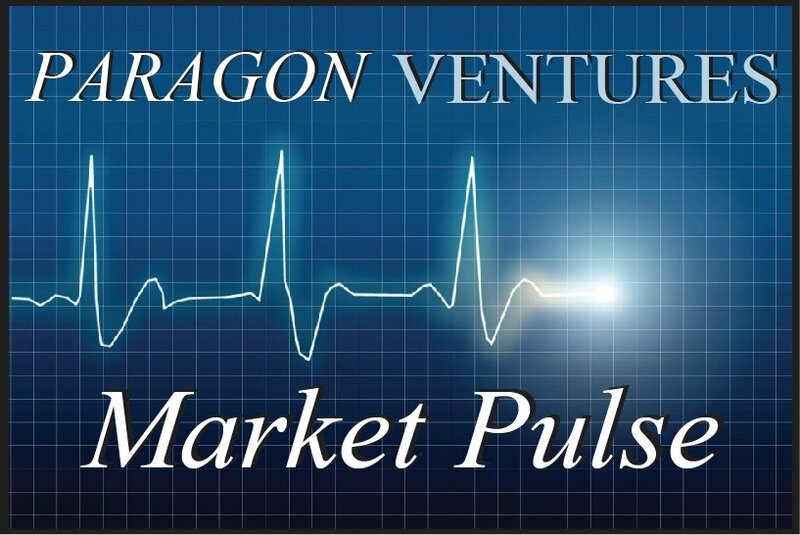 For more information on how this transaction and the overall M&A markets may impact your company, please contact us at Paragon Ventures for a private, no-obligation discussion of the strategic options for your Company. Sector: Pharmacy – The pharmaceutical industry continues to see a trend of mergers and acquisitions with Kroger’s announcement that it will acquire the outstanding shares of Axium Pharmacy Holdings, Inc., a leading specialty pharmacy, to create a merger of the two companies. The merger provides Kroger, one of the world’s largest retailers, access to the specialty pharmacy space, which is the primary area of growth in pharmaceuticals containing over 700 specialty drugs in the pipeline for approval. “Kroger and Axium are a strategic fit as we look to enter the high-growth specialty pharmacy business,” Lincoln Lutz, VP of Corporate Pharmacy at Kroger’s said in a news release. “The combination of Axium’s expertise and Kroger’s 1,950 pharmacy locations, 91 Little Clinic locations, and pharmacists who provide health coaching, biometric screening and other wellness services will deliver positive health outcomes for our patients, cost savings for insurance payers, and unique services for physicians.” Axium is one of the nation’s largest independent providers of specialty pharmacy services. It provides drug therapies and patient support services to treat chronic, genetic and other complex conditions including hepatitis C, multiple sclerosis, rheumatoid arthritis, cancer, as well as other chronic care conditions. Axium will continue to operate as an independent company within the Kroger family. Sector: Medical Equipment HME/DME Sleep Nation,Sleep Nation, Inc., a national provider of continuous positive airway pressure equipment (CPAP), announced the purchases of the CPAP business of five durable medical equipment (DME) providers. Sleep Nation, through its wholly owned subsidiary, CPAP Care Club, is executing on the opportunity to grow in the expanding sleep apnea market through acquisitions. “The uncertainties in the industry due to Medicare’s competitive bidding process, higher regulation requirements and the desire for DME’s to move to higher reimbursing therapies have led many DME’s to look for new ways to finance their companies,” said Rich Roberts. “Since our company only focuses on sleep apnea solutions, we are well suited to handle changes that are rapidly taking place in the industry.” Sleep Nation, through our wholly owned subsidiary, CPAP Care Club, LLC, is one of the few national companies that is licensed in all required states and we have managed care contracts covering all 50 states and over 166 million patients in the United States. Sector: Medical Equipment HME Oxygen The Riverside Company has acquired Premier Medical Corporation (Premier), a provider of rental respiratory equipment, liquid oxygen, durable medical equipment and related services to skilled nursing facilities and hospices in Colorado, New Mexico and Wyoming. The acquisition is an add-on to platform company Specialized Medical Services, Inc. (SMS). This is the fourth add-on to SMS, including its merger with RCS Management in March 2012. Based in Denver, Premier adds direct infrastructure in key Western markets to SMS, and solidifies SMS’s position as the largest provider of respiratory equipment, oxygen and related products and services to nursing homes and hospices in the U.S. Premier also has small homecare and oxygen businesses. Specialized Medical Services Specialized Medical Services provides respiratory equipment, oxygen and related products and services to nursing homes and hospices throughout the U.S. The company’s client base covers more than 40 states and 2,000 facilities, including 12 of the 20 largest nursing home chains in the country. Specialized Medical Services offers the best systems and the broadest array of services in the industry, including respiratory equipment, comprehensive oxygen services, disposable supplies, along with clinical, billing and consulting services. Sector: Medical Equipment HME MedCare Equipment Company, a provider of medical equipment and respiratory therapy services, has purchased Great Lakes Home Healthcare Services’ home medical equipment division, according to a press release. The new partnership expands MedCare’s service area to include the northwest corner of western Pennsylvania, as well as portions of southern New York. In August, MedCare, which is part of the Excela Health System, partnered with St. Clair Hospital in Pittsburgh, the provider’s fourth such agreement since 2008. Sector: Medical Equipment HME Dynamic Healthcare Services, Inc. (“DHS”) a portfolio company of GMH Ventures LLC (“GMH”) announced that it acquired Evanko Respiratory Inc. (“Evanko”) of Hazleton, PA on September 7, 2012. The terms of the acquisition were not disclosed. Evanko is a full service distributor of medical products and equipment including respiratory and sleep equipment and mobility products (with the exception of power wheelchairs). Evanko was founded in 2001 by President Thomas J. Evanko , CRT. The company experienced significant growth and success under Mr. Evanko’s leadership until his passing on April 5, 2012. Mr. Evanko’s wife, Carmela, became President soon afterward and continued to run the business until the sale to DHS. Sector: Nursing – Emeritus Corporation (ESC) (“Emeritus” or the “Company”), the nation’s largest provider of assisted living and memory care services, announced that the Company has entered into an agreement to purchase Nurse on Call, Inc. (“Nurse on Call” or “NOC”), the largest Medicare-licensed home health care provider in Florida and one of the largest such providers in the United States. Emeritus will pay $102 million in cash for 91% of the equity of NOC’s parent company, and the remaining equity will be owned by certain members of NOC’s management team. The Company will fund the purchase primarily from net proceeds realized from the recently closed sale of joint venture communities. Through 28 offices serving 47 counties in Florida, NOC’s 1,700 caregivers provide skilled nursing, rehabilitation therapy, medical social services, and other home health assistance to individuals in their homes who may be recovering from surgery, have an acute exacerbation of a chronic illness, or need assistance with the activities of daily living. NOC and its affiliates currently generate annualized revenues of approximately $140 million and earnings before interest, income taxes, depreciation and amortization of approximately $17 million. Emeritus expects that the acquisition of NOC will be immediately accretive to earnings. Sector: Nursing Private equity firm the Halifax Group has purchased Interim HealthCare Inc., which provides home healthcare services, from Sentinel Capital Partners for an undisclosed amount. Halifax focuses on lower middle market investments. The firm has offices in Washington, D.C., Dallas and Raleigh, N.C. Its portfolio companies include Animal Supply Co. LLC, Nutrition Physiology Co. LLC and PJ United. The deal marks Sentinel’s fourth exit of 2012. Sector: Sleep Therapy – Graymark Healthcare, a provider of diagnostic sleep services, has agreed to a new equity investment from Oklahoma Health Partners (OHP), according to a press release. OHP intends to purchase 1.4 million shares of Graymark’s common stock for $650,000. The funds will be used to right-size the company, according to company officials. “We recently initiated a cost reduction plan that is expected to save the company approximately $2 million in 2013,” stated Stanton Nelson, CEO of Graymark, in the release. “In addition to the cost reductions, which include reductions in our labor force, corporate expenses and bad debt expenses, we are developing a plan to identify and close underperforming lab locations.” Graymark’s net revenues for the third quarter of 2012 were $4.3 million, decreasing 4.3% from $4.5 million in the same quarter of 2011. The decrease was primarily due to lower reimbursement rates for sleep studies and CPAP devices, according to the release. The diagnostic and sleep therapy sectors are highly sought after businesses as mergers and acquisitions are continuing to escalate across the healthcare industry. These transactions are being fueled by many factors including substantial available capital resources and the impending capital gains tax increases. Both private equity and corporate America continue to invest in strong, growth oriented businesses. For more information on how this transaction and the overall M&A markets may impact your company, please contact us at Paragon Ventures for a private, no-obligation discussion of the strategic options for your Company. Sector: PBM Pharmacy Benefit Management – Private equity firms Carlyle Group LP, Blackstone Group LP, and TPG Capital LP plan to bid for Allscripts Healthcare Solutions Inc. The companies reportedly submitted second-round offers last week, one day after Allscripts reported weak quarterly earnings. Any decision on a deal is still weeks away. Sector: HME Home Medical Equipment – Dynamic Healthcare Services, a provider of home medical equipment and respiratory therapy products and services, has acquired HomeTown Oxygen, according to a press release. HomeTown, a distributor of medical products, sleep apnea equipment and respiratory supplies, has locations in Monroeville and Latrobe, Pa., with a service area that includes several Pennsylvania counties. Terms of the acquisition were not disclosed. Nursing and hospice businesses continue to be some of the most requested businesses in 2012. These transactions are being fueled by many factors including strategic buyers looking for scale, new business development opportunities and substantial available capital resources. Both private equity and corporate America continue to invest in strong, growth oriented businesses. For more information on how this transaction and the overall M&A markets may impact your company, please contact us at Paragon Ventures for a private, no-obligation discussion of the strategic options for your Company. Sector: Medical Marketing – High Road Capital Partners announced that its portfolio company Dowden Health Media has completed the acquisition of QD Healthcare Group, a Connecticut-based medical communications firm that provides scientific content development, promotional medical education and related marketing services to the pharmaceutical and biotechnology industries. In conjunction with this acquisition, Dowden has separated into two platform companies, Dowden Medical Communications Group (DMCG) and BlueSpire Strategic Marketing. High Road controls both entities. DMCG, which includes QD Healthcare Group, provides technically oriented marketing services to pharmaceutical companies to educate physicians on appropriate uses of pharmaceutical products. Financing for the transaction was provided by Fifth Third Bank. Transaction consideration was not disclosed. Sector: Medical Device/Asset Management – RAF Industries made a substantial equity investment in Freedom Medical, a national provider of movable medical equipment, specialty beds and medical asset management services. The Company’s critical care equipment and specialty beds are used in hospitals, sub-acute and alternate-site healthcare facilities across the USA. Freedom offers critical care and therapeutic support equipment including respiratory, infusion, patient monitoring, specialty beds and neonatal care equipment. The transaction team was led by Jonathan Sadock, Managing Partner of Paragon Ventures who initiated the transaction and was a strategic advisor to Freedom Medical. Sector: Home Health – The Halifax Group announced that it has completed, in partnership with management, an investment in Interim HealthCare, Inc. a leading home healthcare franchisor. Terms of the transaction were not disclosed. Based in Sunrise, FL, is one of the nation’s oldest and most comprehensive home health care franchise company. With more than 300 independently owned franchise locations in 43 states, Interim provides skilled home healthcare, home-based hospice care, personal care and independent living support, as well as supplemental healthcare staffing. Sector: Sleep Therapy – National Sleep Therapy, a sleep industry leader in patient compliance and care innovation, announced that it has acquired Rest Ensured Medical (REM) for an undisclosed sum. As a small, national provider of CPAP, bi-level therapy and related supplies to sleep apnea patients, REM complements National Sleep Therapy’s patient minded, technology driven principles. This acquisition enables National Sleep Therapy to improve the outcomes of a broader patient community and increase the level of service all CPAP users demand from their providers. Beecken Petty O’Keefe & Co. has acquired Southern Anesthesia and Surgical Inc., a West Columbia, S.C.-based distributor of pharmaceuticals and surgical supplies to oral health professionals who perform sedation-related dental and surgical procedures. No financial terms were disclosed, except that Golub Capital provided $35 million in debt and equity co-investment to support the acquisition. Sparton Corporation (NYSE: SPA), a premier supplier of sophisticated electromechanical devices, sub-assemblies and related services for highly regulated environments in the Medical, Military & Aerospace, and Industrial markets announces that its wholly owned subsidiary, Sparton Onyx, LLC completed its previously announced acquisition of Onyx EMS, LLC (“Onyx”) on November 15, 2012 in a $43.25 million all-cash transaction, subject to certain post-closing adjustments. Nu Skin Enterprises, Inc. (NYSE: NUS) announced that it has signed an agreement to acquire NOX Technologies, Inc., a biotechnology and biodiagnostic company based in Malvern, Pennsylvania for $12.5 million. The agreement includes the acquisition of technology and patents, including previously licensed technology already utilized in connection with Nu Skin’s anti-aging research efforts. “The acquisition of NOX Technologies demonstrates our ongoing commitment to scientific innovation and provides us with additional tools to target the sources of aging,” said Chief Scientific Officer Joe Chang, Ph.D. “Furthermore, we believe the acquisition will enhance our long-term pipeline of scientifically validated anti-aging solutions for health, beauty and wellness.” NOX Technologies provides Nu Skin scientists with a deeper understanding of the aging process and supports the company’s ability to understand important sources of aging. arNOX, an age-related protein identified by NOX Technologies, is found on the cell surface and is capable of superoxide generation, a relevant aspect of the aging process. According to Thomas B. Shelton, chief executive officer of NOX Technologies, “This merger is the culmination of many years of working with Nu Skin researchers on our arNOX technology. NOX Technologies’ translation of the basic science around arNOX paved the way for this unique technology to be incorporated into Nu Skin’s successful anti-aging research and development efforts.” The acquisition is subject to customary closing conditions, including approval of the transaction by the stockholders of NOX Technologies, Inc. Closing is expected to occur prior to the end of 2012. Dynamic Healthcare Services Inc., a portfolio company of GMH Ventures, has acquired Evanko Respiratory Inc., a Hazleton, Penn.-based distributor of respiratory and sleep equipment and mobility products. No financial terms were disclosed. Pernix Therapeutics Inc., a specialty pharmaceutical company, agreed to acquire Cypress Pharmaceuticals Inc., a privately-owned generic pharmaceutical company, and Hawthorn Pharmaceuticals Inc.
McKesson Corp (San Francisco, CA) acquired Emendo (Tamworth, NH), a healthcare research and analytics company based in New Zealand, for an undisclosed amount. McKesson’s primary interest in the deal is Emendo’s CapPlan software, which predicts patient demand for healthcare services and can potentially save hospitals millions of dollars. Though the system is currently only used in about 40 hospital systems worldwide, officials at Emendo said the distributor’s huge presence would greatly increase its adoption, and a McKesson official stated that the large amount of waste in the US healthcare industry makes it an ideal market for the planning software. Sunrise Medical Inc., a Fresno, Calif.-based portfolio company of Vestar Capital Partners, has agreed to sell its global mobility and seating operations to Equistone Partners Europe. No financial terms were disclosed for the deal, which is expected to close by year-end. DaVita Inc (Denver, CO) closed on its previously announced acquisition of HealthCare Partners Medical Group LLC (Torrance, CA) for cash and stock worth $4.7 billion. The value of the deal rose from the original $4.4 billion value declared in May 2012 because DaVita’s stock price has risen nearly 40 percent since then. Alphatec Holdings Inc (Carlsbad, CA), the parent company of Alphatec Spine Inc (Carlsbad, CA), completed its acquisition of Phygen LLC (Irvine, CA) for $15.2 million. Alphatec announced its intent to purchase Phygen, which primarily manufactures spinal screws and other tools used in surgical procedures, in September 2012. ConvaTec, a world-leading developer and marketer of innovative medical technologies for community and hospital care, announced it has entered into a definitive agreement to acquire all of the capital stock of 180 Medical Holdings, Inc. (“180 Medical”) for $321 million. 180 Medical is a leading U.S. provider of disposable, intermittent catheters and urologic medical supplies. Omnicare Inc (Cincinnati, OH) completed its acquisition of Five Star Quality Care Inc’s (Newton, MA) pharmacy business for $38.7 million. The business includes eight licensed pharmacies in 13 states that provide institutional pharmacy services to 247 senior living communities with a total of about 12,300 units. Omnicare will pay $30.5 million for the pharmacy business, and the sale also includes working capital invested in the pharmacy business equal to about $8.2 million. ConvaTec, a world-leading developer and marketer of innovative medical technologies for community and hospital care, announced it has entered into a definitive agreement to acquire all of the capital stock of 180 Medical Holdings, Inc. (“180 Medical”) for $321 million. 180 Medical is a leading U.S. provider of disposable, intermittent catheters and urologic medical supplies. The transaction is being funded primarily through incremental term debt under ConvaTec’s credit agreement. The transaction is subject to regulatory approval and customary closing conditions, and is expected to close late third quarter 2012. Long-term care provider Kindred Healthcare, Inc. (NYSE:KND) announced on Monday that it had signed a definitive agreement to acquire home healthcare provider IntegraCare Holdings, Inc., a portfolio company of private equity firm Flexpoint Ford LLC, for a purchase price of $71 million in cash plus up to $4 million more based on 2013 earnings. The transaction will be financed with operating cash flows and proceeds from Kindred’s revolving line of credit; IntegraCare will have no outstanding long-term debt at closing. IntegraCare provides home health, hospice, and community services and operates in 47 locations across Texas. The company currently generates annualized revenues of approximately $71 million with an EBIDTA of approximately $9 million. Gentiva Health Services, Inc. (NASDAQ: GTIV), the largest provider of home health and hospice services in the United States based on revenue, announced the acquisition of the home health and hospice businesses of Family Home Care Corporation based in Spokane, Washington. Founded in 1966, Family Home Care is recognized as one of the leading providers of home health and hospice services in the Washington and Idaho markets. The transaction will be funded from Gentiva’s cash reserves and is not expected to have a material impact on the Company’s results. Gentiva Health Services also announced the acquisition of North Mississippi Hospice, based in Oxford. Founded in 2006, North Mississippi Hospice has offices in Tupelo, Oxford and Southaven. Mediware Information Systems Inc (Lenexa, KS), a provider of clinical software solutions, signed a definitive merger agreement to be acquired by private equity investment firm Thoma Bravo LLC (Chicago, IL). The deal is, under which Mediware shareholders will receive $22.00 in cash for each share of Mediware common stock, is valued at approximately $195 million. The merger is subject to customary closing conditions, including requisite regulatory approvals and the approval of Mediware shareholders. The Mediware board of directors unanimously approved the agreement and recommends that Mediware’s shareholders approve the transaction. The deal is expected to close by December 31, 2012. HEALTHCAREfirst, headquartered in Ozark, Missouri, announced that Pamlico Capital has acquired the company from The Riverside Company. Members of management have re-invested in partnership with Pamlico Capital to complete the acquisition. Terms of the acquisition were not disclosed. HEALTHCAREfirst is the leading technology and services company dedicated exclusively to serving Home Health Care and Hospice Care agencies. HEALTHCAREfirst had been owned by The Riverside Company and the company’s management since 2008. Kinetic Concepts Inc. has signed an agreement to sell its Therapeutic Support Systems business for $275 million to Getinge AB, a global medical technology company based in Sweden. Under the terms of the agreement, Getinge will purchase assets of the TSS business, including the complete portfolio of specialty therapeutic beds, mattress replacement systems and other support surfaces and patient mobility devices for the therapeutic wound care, bariatric and critical care settings. Getinge has also agreed to offer employment to TSS employees. The transaction is structured as an asset sale with no financing condition and no debt. The deal is expected to close in the fourth quarter of 2012 contingent on United States and foreign antitrust approvals. “Strategically, the sale of the TSS business is important for KCI as it will enable us to focus even further on core growth, execution and realization of our vision – providing transformational healing solutions to caregivers and patients around the world,” says Joe Woody, president and CEO of KCI. San Antonio-based KCI manufactures and markets products for the wound care and therapeutic support system markets. What do these transactions mean for the market value of your business? Roper Industries Inc (Sarasota, FL) completed its previously announced acquisition of Sunquest Information Systems Inc (Tucson, AZ) for approximately $1.415 billion, including $25 million in cash tax benefits. Roper funded the acquisition from available cash and borrowings under its credit facility. Sunquest, a provider of diagnostic and laboratory software solutions to healthcare providers, will keep its name and market products and services under current brand names. Massachusetts senior health and housing company Salmon Health has purchased the hospice and home health operations from Milford Regional Medical Center. Milford Regional Medical Center has sold its hospice and home health operations to Salmon Health and Retirement, a major regional player in senior housing and health care, the two organizations announced. Salmon, which is based in Westborough and operates active adult and assisted living community and rehab and skilled nursing centers which employ approximately 1,800 people, will merge its Salmon Hospice Care with the newly acquired VNA and Hospice of Greater Milford, located on Birch Street. MSC Care Management, a company that serves workers’ compensation claimants, and One Call Medical Inc., which provides services to resolve claims, have merged. The companies will operate under One Call Medical’s parent entity. Jacksonville, Fla.-based MSC Care Management CEO Joe Delaney will become president of Parsippany, N.J.-based One Call Medical. Cambridge, Mass.-based private equity firm Monitor Clipper Partners invested in MSC Care Management in 2005. Dignity Health (formerly Catholic Healthcare West) (San Francisco, CA) completed its acquisition of U.S. HealthWorks Inc (Valencia, CA), which operates 172 occupational health and urgent care centers in 16 states. Terms of the deal were not disclosed. U.S. HealthWorks is now a wholly owned for-profit unit of Dignity. CONMED Corp (Utica, NY) signed definitive agreement to acquire Viking Systems Inc (Westborough, MA) for $0.27 per share in cash. The total expected consideration, including amounts to be paid in respect of in-the-money stock options and warrants, will be approximately $22.5 million. Viking Systems is a worldwide developer, manufacturer and marketer of 3D and 2D visualization solutions for complex minimally invasive surgery. Health Care REIT Inc (Toledo, OH) signed an agreement to acquire all of the outstanding common stock of Sunrise Senior Living (McLean, VA) for $14.50 per share in an all-cash transaction. The deal was approved by the Surnise board of directors but is subject to regulatory approvals, customary closing conditions and approval by Sunrise’s shareholders. It is expected to close in the first half of 2013. As of June 30, 2012, Sunrise operated 307 communities located in the U.S., Canada and the United Kingdom, with a unit capacity of approximately 29,800 units. AIDS Healthcare Foundation, the largest nonprofit HIV/AIDS organization has acquired MOMS Pharmacy, which focuses on providing medications and support services to people living with HIV/AIDS in the U.S., for an undisclosed amount. Amsterdam-based AIDS Healthcare, founded in 1987, provides medical care and services to more than 176,000 people in 27 countries. The nonprofit is also the largest nonprofit provider of HIV/AIDS medical care in the U.S. The target operates 12 pharmacies in California, Washington, Massachusetts, Connecticut and New York. Church & Dwight Co. Inc. (NYSE: CHD) will purchase Vancouver, Wash.-based Avid Health Inc., a gummy-vitamin maker, for $650 million in cash. For the year ending June 30, 2012, Avid’s sales were about $230 million. Princeton, N.J.-based Church & Dwight makes personal-care, household and specialty products under the Arm & Hammer brand name. medi, headquartered in Bayreuth, Germany, and a leading global player in the health-care market, has acquired San Diego-based CircAid, expanding its compression therapy division to offer compression therapy garments. Allina Health has reached a deal to acquire ConnectCare, a Hutchinson-based provider of home health care and hospice services. ConnectCare, which has 37 employees, serves the Glencoe and Hutchinson communities. The nonprofit is jointly owned by Hutchinson Area Health Care and Glencoe Regional Health Services. Terms of the acquisition, which is expected to close by Jan. 1, weren’t disclosed. ConnectCare will be merged into Minneapolis-based Allina’s existing home care and hospice business, which offers services in 28 Minnesota counties. Healthcare benefits company Aetna (NYSE: AET) will buy Coventry Health Care Inc. (NYSE: CVH) for $7.3 billion – a price tag that includes the target’s debt. Coventry stockholders will receive $27.30 in cash and 0.3885 Aetna common shares for each Coventry share, which comes out to about $42.08 based on the closing price of Aetna’s common shares on Friday, Aug. 17. Vascular Solutions Inc. has announced spending $3 million in cash to buy the Venture wire control catheter from St. Jude Medical Inc. The deal includes an upfront payment of $2.25 million and an additional payment of $750,000 upon restarting the manufacturing process. Maple Grove-based Vascular said it will immediately begin selling the Venture product with inventory it bought from Little Canada-based St. Jude. Vascular also bought the manufacturing equipment from St. Jude and will be setting that up at its own facilities, with production expected to resume in the second quarter of 2013. Almarc Drugs and CVS/pharmacy announced that CVS will purchase Almarc’s pharmacy business at its locations in Larchmont and New Rochelle, New York. The sale includes Almarc’s Larchmont Drugs and its Main St. Apothecary & Surgical Supply in New Rochelle. EQT Partners agreed to acquire BSN Medical from Montagu Private Equity and management for approximately $2.27 billion. BSN Medical designs, manufactures, and markets medical devices in the areas of fracture management, compression therapy, wound care, and physiotherapy in Germany and internationally. The deal is projected to trade at an implied EV / LTM EBITDA multiple of 10.9x and LTM Revenue multiple of 2.7x. TPG Growth and Skyline Global Partners completed the acquisition of iMDsoft. iMDsoft provides clinical information systems for perioperative, critical, and acute care, as well as for hospitals, healthcare systems, and medical centers worldwide. Financial terms for the deal were not disclosed. Genesis HealthCare (Genesis) announced it has signed a definitive agreement to acquire Sun Healthcare Group (Sun.) Sun has approximately 28,000 employees in 46 states, and has annual revenues over $1.9 billion. The deal was valued at approximately $275 million. Hospice Family Care, Inc. has been acquired by an undisclosed private equity buyer. Founded in 1992, HFC specializes in providing end of life care to patients and families and is headquartered in Mesa, Arizona. The Company has a total of 6 locations across Arizona and a team of 450 professionals and volunteers who serve patients and their families in the communities of Casa Grande, Gilbert, Mesa, Peoria, Prescott, and Tucson, Arizona. The KPC Group, LLC announced the acquisition of Ramona VNA & Hospice and a name change of the agency to Inland Empire Home Health & Hospice (IEHH). Established in 1987, IEHH supports over 19,000 home health visits and 48,000 hospice visits each year. IEHH will continue to provide home health, palliative, chronic Illness and hospice services throughout the Southwest Riverside County of California. The Ensign Group, Inc. announced that an Ensign subsidiary has acquired Zion’s Way Home Health and Hospice, a well-regarded home health and hospice agency based in St. George, Utah. The lateral diversification further broadens Ensign’s geographic reach into the hospice vertical. Hearts for Hospice, LLC, (Hearts) a provider of hospice and home health services to patients in Utah, Idaho, and Arizona, has been acquired by Abode Healthcare, a portfolio company of Frazier Healthcare. Hearts is a Medicare certified, and Medicaid approved organization providing end of life care to terminally ill patients and their families, as well as comprehensive restorative care to patients recovering from illnesses and injuries. The Company consists of several divisions including a hospice division (Hearts for Hospice) and a home health division (Hearts for Home Health). In addition to traditional home health and hospice services, Hearts provides non-emergency medical transportation services to its hospice patients and their families. Hearts has an excellent reputation in the healthcare community and throughout its service areas. Swope Community Enterprises has acquired Kansas City Home Care, Inc. Swope Community Enterprises operated several Kansas City, Missouri health services clinics. Kansas City Home Care provides memory care, end-of-life-care, personal care, nursing home and assisted living companion services among other services. Through this acquisition, Swope Community Enterprises will be able to provide health services for people in all states of life from birth to death. Terms of the deal were not disclosed. Waud Capital Partners completed the acquisition of Regional Toxicology Services, dba Sterling Reference Laboratories. Regional Toxicology Services provides testing services for drugs-of-abuse detection. Financial terms for the deal were not disclosed. Brookdale Senior Living, Inc. has acquired two undisclosed home health agencies for a total of $3.7 million. No additional information is available at this time for either transaction. Home Health International, Inc., a Florida-based provider of home health nursing, rehabilitation, and personal care services, has acquired Mount Auburn, Inc. Mount Auburn, founded in 1974 and located in Miami-Dade County, Florida, provides traditional home healthcare services. The specific financial terms of the deal were not disclosed. Physicians Healthcare, a Massachusetts-based provider of home healthcare services, has been acquired by Steward Health Care System, LLC. Steward Health System is a community-based care organization and community hospital network operating in eastern Massachusetts. ePharmaSolutions has completed the acquisition of Polaris BioPharma Consulting. Polaris provides clinical trial management consultancy services to a range of clients in biotechnology and pharmaceutical industries worldwide. The financial terms of the deal were not disclosed. Inclinix has completed the acquisition of PMG Research. PMG Research is an Integrated Site Network (ISN) of clinical research facilities operating throughout the southeast region of the United States. The transaction was funded by a consortium of investors led by private equity firm Frontier Capital. The financial terms of the deal were not disclosed. CROMSOURCE has completed the acquisition of Pleiad. Pleiad is a contract research organization providing regulatory, marketing, and reimbursement clinical research solutions to the medical device sector. Genstar Capital has entered into definitive agreement to acquire eResearchTechnology from Blum Capital Partners and other shareholders. eResearchTechnology provides biopharmaceutical companies, contract research organizations and medical device companies cardiac safety drug research, respiratory research, and helps collect and manage clinical data primarily in North America, the United Kingdom, and Germany. The enterprise value of the expected transaction is $395 million, equating to a implied enterprise value / LTM EBITDA multiple of 9.0x and an LTM Revenue multiple of 1.9x. Shore Capital has acquired Excel Rehabilitation Services and Michigan Rehabilitation Specialists. The two transactions create a combined network of 21 physical therapy clinics throughout Michigan. Court Square Capital acquired Physiotherapy Associates from Water Street Healthcare Partners and Wind Point Partners. Physiotherapy Associates owns a network of roughly 800 clinics nationwide. Wellness Center USA, Inc. (OTCQB: WCUI), a Schaumburg, IL based healthcare and nutraceutical company, announced the consummation of its CNS-Wellness LLC (CNS) acquisition. CNS is a Tampa, FL based cognitive neuroscience company specializing in the treatment of brain-based behavioral health disorders without the use of drugs. These disorders range from affective (emotional) and stress-related problems such as; anxiety, depression and bipolar disorder to developmental disabilities and conditions, including autistic spectrum disorders, as well as disregulatory conditions such as; AH/HD and epilepsy. Epazz, Inc., (OTCBB: EPAZ) a leading provider of cloud based business software solutions announced that it has acquired MS Health, a New Jersey based company. MS Health, mental health software, is a cloud based solution for Behavioral healthcare, mental health, and social services providers nationwide. MS Health CMHCi provides tools to manage, bill, and track behavioral healthcare and social services. With CMHCi, health care providers will realize the benefits of increased efficiency, accountability, and productivity. MS Health unaudited revenue for 2011 was over $450,000. Milford Regional Medical Center has sold its hospice and home health operations to Salmon Health and Retirement, a major regional player in senior housing and health care, the two organizations announced. Salmon, which is based in Westborough and operates active adult and assisted living community and rehab and skilled nursing centers which employ approximately 1,800 people, will merge its Salmon Hospice Care with the newly acquired VNA and Hospice of Greater Milford, located on Birch Street. The Milford VNA and Hospice served approximately 1,200 patients last year, according to Matt Salmon, COO of Salmon Health. The purchase doubles the size of Salmon’s hospice program, but perhaps more importantly, it represents the company’s first foray into home health care, Salmon said. Ensign Group Inc (Mission Viejo, CO) announced the acquisition of Discovery Care Center of Salmon (Salmon, ID), a skilled nursing facility and assisted living facility with 45 skilled nursing beds and 24 assisted living units, and Owyhee Health & Rehab (Homedale, ID), a skilled nursing facility with 49 beds. The acquisitions were effective August 1, 2012. Ensign expects the operations in the two facilities, which had a combined occupancy rate of approximately 64 percent at acquisition, to be accretive to earnings in 2012. Ensign also acquired the underlying real estate and other operating assets of Palomar Vista Healthcare Center (Escondido, CA), a skilled nursing facility formerly operated under an Ensign subsidiary, on August 1, 2012. The Escondido and Idaho purchases were made with cash and bring Ensign’s portfolio to 107 facilities, 83 of which Ensign owns. Bristol-Myers Squibb Company (New York, NY) successfully acquired Amylin Pharmaceuticals Inc (San Diego, CA) for $5.3 billion. Following the deal, AstraZeneca (Wilmington, DE), Bristol-Myers Squibb’s partner in a commercial alliance for diabetes products, paid $3.2 billion for development rights for future Amylin products. AstraZeneca also has the option to assert authority over certain strategic and financial decisions regarding Amylin’s product lines, which will require an additional $135 million payment, assuming it receives antitrust clearance. Profits and losses from sales of Amylin products will be shared equally between Bristol-Myers Squibb and AstraZeneca. Baird Venture Partners’ (BVP) portfolio company Pinstripe, Inc. (Pinstripe) has been acquired by private equity firm Accel-KKR. The financial terms of the agreement were not disclosed. Based in Brookfield, Wis., Pinstripe was an early entrant in the recruitment process outsourcing sector and has emerged as one of the leading providers in the industry, with global reach and high customer satisfaction as recognized by HRO Today’s “Baker’s Dozen” ranking. Pinstripe primarily serves organizations in financial services, healthcare, technology and advanced manufacturing. Harbert Private Equity Fund II, LLC (“HPEF II”) announced today that it has recapitalized, Onward Behavioral Health, Inc. (“OBH”), a portfolio company of HPEF II, in connection with OBH’s acquisition of Life Management Inc. and certain of its affiliates (collectively “Life Management”). OBH is the holding company of Birmingham, Alabama‐based Magnolia Creek, LLC (“Magnolia Creek”), which operates a ten bed residential treatment facility and an eight bed partial hospitalization program for adult women suffering from eating disorders. Life Management is an outpatient behavioral healthcare company with 31 sites in four states that provides counseling and rehabilitation services to patients with a variety of substance abuse and other mental health needs, including eating disorders. CardioNet, Inc. (NASDAQ:BEAT), a wireless medical technology company with an initial focus on the diagnosis and monitoring of cardiac arrhythmias, announced that it has entered into a definitive merger agreement with cardioCORE Lab, Inc., a centralized cardiac testing laboratory with locations near Washington, D.C., San Francisco, CA and London, UK. Linde AG a German supplier of industrial gas, said Sunday it plans to acquire Lincare Holdings Inc., a U.S. provider of respiratory therapy, oxygen and other services to patients at home, for about $4.6 billion. Industrial-gas suppliers have been expanding into the growing business of providing services and equipment such as ventilators or oxygen tanks to people with asthma and other diseases who are managing their conditions at home. Lincare, based in Clearwater, Fla., has more than 800,000 customers in 48 states and Canada, according to its website. In a statement, Munich-based Linde said it had submitted a cash offer of $41.50 per common share to acquire Lincare. The offer represents a 22% premium to Lincare’s closing price Friday of $34.02, up 5.3% in 4 p.m. Nasdaq Stock Market trading. Linde also said it would fund the transaction through cash and an acquisition loan of $4.5 billion, to be refinanced by debt and equity issuances. The German company said it expects the deal to close in 2012. Sun Healthcare Group, Inc. announced that it has signed a definitive agreement for the acquisition of Sun Healthcare (Sun) by Genesis HealthCare (Genesis). The combined company will be able to strengthen its core business lines and enhance its collective ability to provide the highest quality patient care while meeting the current challenges facing the healthcare industry. Under the terms of the merger agreement, Genesis will acquire Sun for $8.50 per share of common stock in cash, resulting in a transaction value of approximately $275 million net of cash and debt acquired. Sun Healthcare’s Board of Directors unanimously approved the transaction. The closing of the transaction is subject to customary conditions, including approval by Sun stockholders, expiration of the waiting period under the Hart-Scott-Rodino (HSR) Antitrust Improvements Act of 1976, as well as regulatory approvals. The closing is expected to occur in the fall. Walgreen Co. said it is acquiring a regional drugstore chain in a $438-million, mostly stock deal that would give the company a larger presence in the mid-Southern United States. The deal for USA Drug involves 144 drugstores under the names USA Drug, Super D Drug, May’s Drug, Med-X and Drug Warehouse. The stores are located in seven states including Arkansas, Kansas, Missouri and Oklahoma. Sales for the chain totaled $825 million in 2011. Call Paragon Ventures for a confidential evaluation of your strategic options in 2012! Aperture Health, Inc. announced that it has executed a Letter of Intent to acquire Doctors on Call, one of the largest in-home medical practices in New York City. Doctors on Call, consisting of over 35 physicians and physician extenders, is devoted to the care of the frail and/or homebound elderly throughout New York City. Founded in 1968, and available seven (7) days a week, Doctors on Call offers home-based medical care including chronic disease management, laboratory, diagnostic x-ray, ultrasound, podiatry, and annual wellness visits to those incapable of accessing traditional primary care. Further, Doctors on Call has obtained preferential contracts with major Health Maintenance Organizations to provide high quality cost-effective medical care to patients transitioning from the institutional (hospital or skilled nursing facility) to the home setting providing over 2,000 patient visits a month. Cardinal Health Inc (Dublin, OH) to acquire Dik Drug Co (Burr Ridge, IL), a privately held regional drug wholesaler. This acquisition will add more than 500 retail independent customers with high generic purchasing volume, helping Cardinal to diversify its customer mix. Dik Drugs’ operations will be consolidated into a Cardinal Health drug distribution center in Aurora, Illinois. Financial terms of the agreement were not disclosed. The deal is expected to close in summer 2012. Capital investment firms Silver Lake Sumeru and Essex Woodlands signed a definitive agreement to acquire MEDSEEK (Solvang, CA), a supplier of strategic patient and engagement and management solutions and predictive analytics technology. MEDSEEK’s software platform helps healthcare organizations attract and retain patients and enhances patient-doctor communication and information accessibility. The transaction is set to close in the next few weeks, pending satisfaction of all closing conditions. AeroScout (Redwood City, CA), a provider of Unified Asset Visibility solutions for the healthcare industry, will be acquired by an international infrastructure and services company for about $240 million. The buyer has not been identified. AeroScout was founded in 1999 and currently has about 200 employees. It is believed that its R&D headquarters will remain in Israel after the sale. Accountable Healthcare Holdings Corp., a Boca Raton, Fla-based healthcare staffing provider, completed the acquisition of Med-Staff Oklahoma, a Tulsa, Oklahoma-based firm that focuses on travel nurse staffing. Terms of the deal were not released. Accountable Healthcare Holdings Corp., a Boca Raton, Florida-based healthcare staffing provider, completed the acquisition of Med-Staff Oklahoma, a Tulsa, Oklahoma-based staffing firm that focuses on travel nurse staffing. Med-Staff also provides physical and occupational therapists and diagnostic imaging technicians. Med-Staff founders Stan Tallon and Julie Pickens will continue to manage the growth of the business after the acquisition. Med-Staff will also continue to operate under its own brand as part of Accountable Healthcare. Rochester, N.Y.-based HCR Home Care, a certified home health care agency, recently gained formal approval from the New York State Department of Health to purchase Madison County’s home care program. The acquisition will transfer ownership of Madison County’s operating certificates for its Certified Home Health Agency and Long Term Home Health Care Program to HCR, which has successfully bid on five county agencies and is currently involved in acquiring two more county agencies. With the purchase, HCR replaces the county agency in providing acute and long-term home health nursing, therapy, and home health aide services for Medicare and Medicaid patients, along with providing services to patients with commercial insurance coverage and private-pay patients. The first of three contracts needed to sell Niagara County’s home-care programs will be signed soon, Public Health Director Daniel J. Stapleton said last week. Stapleton told the Board of Health that a deal is expected in a week or two on an arrangement to have the Catholic Health System provide nursing services to patients the county’s dwindling nursing staff can no longer handle. Until the $2.65 million sale of the county’s two home-care programs to Catholic Health is approved by the state Health Department, Niagara County will continue to have full legal responsibility for the services, Stapleton said. SeraCare, based in Milford, Massachusetts, serves the global life sciences industry by providing an innovative portfolio of diagnostic controls, plasma-derived reagents and molecular biomarkers used in the discovery, production, and clinical application of a variety of in vitro diagnostics. BB&T Capital Partners Mezzanine Fund II, L.P. invested subordinated debt to support the acquisition of SeraCare Life Sciences, Inc. by Linden Capital Partners. Walgreen Co (Deerfield, IL) completed the acquisition of certain assets of BioScrip Inc (Elmsford, NY) community specialty pharmacies and centralized specialty and mail service pharmacy businesses for approximately $225 million. Up to an additional $16 million payment could be payable based on events related directly or indirectly to Walgreen’s retention after the closing of certain business included in the transferred businesses. The acquisition is part of Walgreen’s “Well at Walgreens” strategy as a community pharmacy and brings additional specialty pharmacy products and services closer to patients. The acquisition also will help grow Walgreen’s centralized specialty and mail service pharmacy operations. BioScrip’s community specialty pharmacy business primarily serves HIV, oncology and transplant patients with 30 locations in 16 states across the U.S. and DC. The Walgreen acquisition also includes certain assets of BioScrip’s centralized specialty pharmacy business and traditional mail service pharmacy business that dispenses prescriptions for drugstore.com and other entities. Amerigroup Corporation announced today that its New York health plan received the necessary regulatory approvals allowing the company to close the previously announced acquisition of Health Plus. Health Plus is one of the largest Medicaid managed care companies in New York. They currently serve over 320,000 members. Nexus Healthcare Holdings (Columbus, OH), an asset management company that recently formed, purchased the stock of Medical Park Hospital (Hope, AR) from Carraway Medical Systems (Fayetteville, AR). The deal is set to close in 90 days. However, IASIS Healthcare Corp (Franklin, TN), the parent company of Wadley Regional Medical Center (Texarkana, TX), has a pending foreclosure and collection lawsuit against the hospital and noted that, if a transfer had occurred, the hospital assets remain subject to the lien held by IASIS. IASIS acquired the mortgage deed of trust to Medical Park in a deal with Signature Hospital Corp (Houston, TX), which owned Medical Park before Shiloh Health Services Inc (Louisville, KY), now Carraway Medical Systems. The owners of the former Shiloh Health were indicted in 2011 on charges of failing to pay payroll taxes to the IRS and healthcare related embezzlement charges. Medical Park owes IASIS $4.5 million and the IRS more than $3 million. Nexus stated that Omnilife Health Care Systems (Columbus, OH) will take over management of the hospital. MultiCare Health System (Tacoma, WA) struck a deal to acquire 213-bed Auburn Regional Medical Center (Auburn, WA) from Universal Health Services (King of Prussia, PA) for $98 million. The sale is subject to regulatory approval and is expected to close by September 2012. Clearview Capital Fund II, LP today announced that its portfolio company, Pyramid Healthcare, Inc., has acquired October Road, Inc. Headquartered in Asheville, NC, October Road provides a full continuum of outpatient mental health and substance abuse services to adults and adolescents using creative, evidence-based practices. Founded in 2005, October Road has achieved significant growth due largely to its experienced management team and the exceptional quality of care provided to its patients. The Company is accredited by the Commission on Accreditation of Rehabilitation Facilities (“CARF”) and is designated a Critical Access Behavioral Health Agency (“CABHA”) in North Carolina. Based in Altoona, PA, Pyramid Healthcare is a leading provider of substance abuse and mental health treatment services to adults and adolescents throughout Pennsylvania. Pyramid operates 26 residential and outpatient treatment facilities throughout the Commonwealth. ConvaTec (Skillman, NJ) acquired AbViser Medical LLC (Salt Lake City, UT) (formerly a part of Wolfe Tory Medical), which specializes in products for the critical care marketplace, including the AbViser™ Intra-abdominal Pressure (IAP) Monitoring System. This system enables clinicians to measure and monitor IAP in patients at risk for intra-abdominal hypertension (IAH) or abdominal compartment syndrome (ACS). Terms of the deal were not disclosed. Thermo Fisher Scientific Inc (Waltham, MA) acquired Doe & Ingalls Management (Durham, NC), a provider of specialty production chemicals, for $175 million in cash. The company, which generated $110 million in revenue in 2011, will become a part of Thermo Fisher Scientific’s Customer Channels business within its Laboratory Products and Services Segment. There were no layoffs as a result of the deal, and Thermo Fisher Scientific stated that it does not anticipate any layoffs in the immediate future. Covidien (Mansfield, MA) completed its previously announced acquisition of Newport Medical Instruments Inc (Costa Mesa, CA) for $108 million. Newport Medical is a physician-led company that designs and manufactures ventilators. Its products are sold in the United States and more than 115 countries worldwide. Covidien will report the Newport Medical business as part of its Airway & Ventilation product line in the Medical Devices segment. Covidien Inc (Mansfield, MA) acquired PolyTouch Medical Ltd, a developer of hernia mesh placement technologies. PolyTouch Medical developed a device for the precise and rapid deployment and placement of mesh during laparoscopic soft tissue repair procedures. PatchAssist™, the leading product, was further developed to become AccuMesh™, an endomechanical device facilitating insertion, deployment and placement of mesh during laparoscopic ventral hernia repair. Covidien launched the AccuMesh device earlier this year. Additional details about the deal were not disclosed. Hologic Inc (Bedford, MA) signed a definitive agreement to acquire all of the outstanding shares of Gen-Probe Incorporated (San Diego, CA) for $82.75 per share in cash, or a total enterprise value of approximately $3.7 billion. The all-cash transaction is expected to be funded through available cash and additional financing of term loans and high yield securities. The deal is expected to be completed in the second half of 2012. Gen-Probe will become a wholly-owned subsidiary of Hologic. Hologic will retain its headquarters in Bedford, Massachusetts, and the combined company will maintain a significant presence in San Diego, California. Rob Cascella will continue as president and CEO of Hologic, and Carl Hull, Chairman and CEO of Gen-Probe, will oversee the company’s combined diagnostics business. Anglo-Swedish drug company AstraZeneca PLC is buying Ardea Biosciences, Inc., in a deal which values the U.S. biotech company at $1.26 billion. AstraZeneca said Monday that it had agreed the takeover with San Diego-based Ardea, which is developing a treatment for elevated blood levels of uric acid in patients with gout. AstraZeneca is paying $32 per share, representing a 54 percent premium on the closing share price last Friday. The boards of both companies have approved the deal, and AstraZeneca says it has secured commitments from 30 percent of Ardea shareholders. Orthofix International N.V., (NASDAQ:OFIX) (the Company) announced that it entered into a definitive agreement under which Water Street Healthcare Partners, a strategic private equity firm focused exclusively on the health care industry, will acquire Orthofix’s Sports Medicine Business Unit, which operates as Breg, Inc. The purchase price is $157.5 million and is payable in cash at closing, which is expected to occur during the second fiscal quarter of 2012. Net proceeds to Orthofix from the sale are anticipated to be approximately $140 million, which will be used for the prepayment of debt as required by Orthofix’s existing credit agreement. The Company acquired its Sports Medicine business in 2003 with the purchase of Breg, which is headquartered in Carlsbad, CA. The Sports Medicine business provides a portfolio of bracing and cold therapy products to treat a variety of sports medicine related conditions. “With the divestiture of the Sports Medicine business, we are now able to devote Orthofix’s full resources and attention to strengthening our value proposition around our repair hardware and regenerative biologics and stimulation solutions,” said Robert Vaters, President and Chief Executive Officer. “We believe this deleveraging event and resulting borrowing capacity will allow us to expand and enhance both our Spine and Orthopedic business units in a way that accelerates our ability to create shareholder value.” Upon closing, the Company will file the required pro forma financial results reflecting the disposition following the consummation of the sale transaction with the Securities and Exchange Commission, including any impact of pre-closing liabilities the Company will retain. J.P. Morgan Securities LLC provided a fairness opinion to the board of directors related to the transaction. AstraZeneca announced that they have entered into a definitive agreement with Ardea Biosciences Inc. (Ardea) in which AstraZeneca will acquire Ardea for $1.26 billion, $32 per share. Ardea is a California-based biotechnology company focused on the development of small-molecule therapeutics. Stanbio Laboratory (Boerne, TX) transferred sales, marketing and service functions in the United States for its point-of-care HemoPoint® H2 hemoglobin system to Alere Inc (Waltham, MA), effective April 2, 2012. The company’s success with the product prompted the move. Stanbio Laboratory will continue to oversee sales and marketing responsibilities for the HemoPoint H2 in Mexico, Latin America and South America. There will be no change to the core features and functions of the HemoPoint H2; however, the color of the meter will change to coincide with the Alere brand. The meter and cuvettes will still be manufactured by EKF diagnostic GmbH (Barleben, Germany), a sister company of Stanbio Laboratory. National Distribution & Contracting Inc (NDC) (Nashville, TN) acquired MOtion1 (Carmel, IN), a unified alliance of independent physical rehabilitation equipment and supply dealers in North America. The deal gives NDC approximately 50 new customer relationships that are focused on a segment of the market that is growing rapidly. Additional details were not disclosed. Home Health International said it has entered into a letter of intent to acquire Associated Home Health, a Medicare-certified Home Health Agency based in Florida. The company is primarily involved in providing skilled nursing and other therapeutic services as well as home health aid services. It is licensed in accordance with the state of Florida and meets all conditions found by the Secretary of Health and Human Services to be necessary for health and safety. “We are very excited by this pending acquisition. Not only does the agency have excellent credentials, but it has the same mission as HHII, to provide the best care and services to seniors and those with permanent or short-term disabilities,” said Lazaro Garcia, CEO of Home Health International, Inc. According to HHI, home health expenditures in Florida have seen double digit growth year over year since 2008. Terms of the deal were not disclosed. Ancor Capital Partners has sold Tritrax Healthcare Services, a home health-care services provider to Dallas/Fort Worth area geriatric patients, to Jordan Health Services, a statewide provider of adult home health services. “The focus of our growth plan in the home care sector at Ancor is in pediatric care, and we were pleased to find a strategic buyer such as Jordan who valued the Tritrax employees and its reputation in the industry,” said Timothy J. McKibben, managing director at Ancor. “We are excited about the opportunities that are in front of us in the pediatric sector and look forward to building our presence in this market.” Ancor Capital Partners, based in Fort Worth, Texas, is an operations-oriented private equity firm focused on lower middle-market manufacturing and distribution companies with EBITDA of $5-$15 million. Extensive operational experience gives the Ancor team a unique understanding of the critical business issues faced by lower middle-market companies. Ancor’s proven track record includes 29 acquisitions to date in health care, consumer and other industries. Based in Mount Vernon, Texas, and founded in 1975, Jordan Health Services has over 11,000 employees in a variety of locations serving literally thousands of individuals every day. Jordan is one of the largest home healthcare providers in Texas. Alegent Health System (Omaha, NE) signed a deal to acquire Creighton University Medical Center (CUMC) (Omaha, NE), formerly known as Saint Joseph’s Hospital, from Tenet Healthcare Corp (Dallas, TX) and Creighton University. Alegent will also assume operations of Creighton Medical Associates (Omaha, NE) and integrate the physician group into Alegent Health Clinic (Omaha, NE). Tenet owns a 74 percent stake in CUMC, while Creighton University owns the remaining 26 percent. Pending board approval from the three parent entities and due diligence, the deal is expected to close July 1, 2012. Terms were not disclosed. Alegent Health System is owned by Catholic Health Initiatives (Denver, CO). CareFusion Corporation (San Diego, CA) and Natus Medical Incorporated (San Carlos, CA), a provider of health care screening, diagnostic and treatment products, entered into an agreement to sell the CareFusion Nicolet (Madison, WI) business to Natus for a cash purchase price of approximately $58 million. The Nicolet business employs more than 400 people worldwide and generated sales of approximately $95 million in 2011. CareFusion stated that the sale is in line with its strategy to simplify and focus its operations and prioritize investments to profitably grow over the long term. The acquisition is expected to close in July 2012, subject to customary closing conditions. The cash purchase price is subject to working capital adjustments. Natus plans to finance the acquisition with existing cash and borrowings under its revolving credit facility. Thomson Reuters plans to sell its healthcare business to Veritas Capital for $1.25 billion in cash. Sanford Health (Sioux Falls, SD) signed a letter of intent to add 16-bed Hillsboro Medical Center (Hillsboro, ND) to its network. Sanford has managed the not-for-profit critical access hospital since October 2000. It includes a clinic with two physicians who provide service to the hospital. Hillsboro completed a $12.5 million expansion project in December 2009 that included adding an attached 36-bed and 16-unit long-term-care and assisted-living facilities. The medical center has 148 employees. The deal is set to close December 12, 2012. Triton Pacific Capital Partners has created and funded an institutional pharmacy platform company, PharmaSync, to acquire the assets of an institutional pharmacy in Portland, Oregon. Tregaron Capital provided mezzanine debt financing to support the transaction. PharmaSync focuses on the needs of adult foster care, assisted living centers and other residential care facilities. Its predecessor had served the Pacific Northwest for over 30 years. Pfizer Inc (New York, NY) may sell its infant-nutrition business to Nestle SA (Vevey, Switzerland) for approximately $9 billion. The companies are expected to announce a decision as soon as next week. Additional details were not disclosed. PENTAX Medical Company (Montvale, NJ) acquired Digital Endoscopy GmbH (Friedberg, Bavaria), a developer of endoscopic imaging products with expertise in software-based computer architecture and optical illumination technologies. The deal will expand PENTAX Medical’s global R&D capabilities. Terms were not disclosed. SSM Health Care (St. Louis, MO) signed a deal to acquire Unity Health Center (Shawnee, OK) from Community Health Partners (Lorain, OH), effective June 30, 2012. Unity Health Center has two campuses: Unity Health Center North Campus (Shawnee, OK) and Unity Health Center South Campus (Shawnee, OK). SSM will rename the two campuses Saint Anthony Shawnee Hospital when the acquisition is complete. Financial terms were not disclosed. The Ensign Group Acquires Utah Home Health and Hospice Company. The acquisition of Zion’s Way Home Health and Hospice will expand The Ensign Group’s services in Southern Utah. 3M Company (St. Paul, MN) acquired CodeRyte Inc (Bethesda, MD), a provider of clinical natural language processing (NLP) technology and computer-assisted coding solutions for healthcare outpatient providers. Its products include CodeAssist, CodeComplete and DataScout. The deal will allow 3M to apply CodeRyte’s NLP technology to its new 3M 360 Encompass System. Terms of the acquisition were not disclosed. ATG Rehab, has acquired Louisiana-based Custom Holdings, LLC and its subsidiaries, Custom Healthcare and Gulf Coast Rehab Equipment, which provide complex rehabilitation equipment, including: customized power and manual mobility solutions, seating and positioning systems and repair services for individuals with disabilities. ATG Rehab’s acquisition adds 13 offices in six states collectively serving more than 6,500 clients annually at 50 major hospitals and rehabilitation facilities in the Gulf Coast region. Cook Group (Bloomington, IN) acquired the assets of General BioTechnology LLC and launched a new company, Cook General BioTechnology LLC (CGBT) (Indianapolis, IN). CGBT adds new cell and tissue processing and cryopreservation technologies to Cook Group’s existing cellular therapies and manufacturing portfolio that include Cook MyoSite, Cook Pharmica and Cook Biotech. Terms of the deal were not disclosed. Serent Capital, a growth equity firm focused on investing in rapidly expanding businesses, announced today an investment in United Allergy Services (“UAS”), the leading provider of allergy testing and immunotherapy services to primary care physicians. Since its founding in 2009, UAS has been changing the treatment of seasonal allergies by expanding access to treatment via primary care physicians. Baird Capital Partners announced that BCP portfolio company MedPlast Inc. (MedPlast) has dramatically increased its size and reach by acquiring United Plastics Group, Inc. (UPG). Headquartered in Tempe, Ariz., MedPlast manufactures precision molded plastic and rubber components, serving the healthcare and select commercial markets in the United States. UPG manufactures precision plastic products and provides value-added services for the medical, commercial, and technology markets, with operations in the U.S., China, Mexico, and Wales. Express Scripts (NASDAQ: ESRX) completed its previously announced $29.1 billion acquisition of Medco Health Solutions today, creating the country’s leading healthcare services company. The new Express Scripts combines best-in-class clinical expertise and innovative applications of behavioral science to improve patient health while driving down the cost of healthcare.AmerisourceBergen Corporation (NYSE: ABC) has signed a definitive agreement to purchase World Courier Group, Inc., a specialty transportation and logistics provider for the biopharmaceutical industry, for $520 million in cash. Covidien Plc (COV), an Irish health-care products company, agreed to buy Oridion Systems Ltd. (ORIDN), an Israeli maker of devices for patient breathing safety, for $346 million. Covidien will pay about 21.04 Swiss francs ($23) a share, the Dublin-based company said today in a statement, 75 percent more than Oridion’s closing price yesterday. Oridion rose 71 percent to 20.55 francs at 2:22 p.m. in Zurich. The acquisition of Jerusalem-based Oridion will add to Covidien’s portfolio of devices for monitoring people’s respiratory functions, Robert J. White, president of Respiratory& Monitoring Systems at Covidien, said in the statement. Oridion had $64.5 million of revenue in 2011. Covidien doesn’t expect the transaction to affect fiscal 2012 sales, operating margin or earnings per share, the company said. The boards of both companies have cleared the deal, which is subject to Oridion shareholders’ approval, it said. Oridion, which has another headquarters in Needham,Massachusetts, said it had net income of $6.5 million last year. The company, founded in 1987, makes medical devices that monitor carbon dioxide in a patient’s breath for critical care or post-anesthesia care. Ventas Inc REIT (Chicago, IL) closed on its agreement to acquire Cogdell Spencer (Charlotte, NC), also an REIT, for $760 million, making it the largest owner of medical office buildings in the U.S. The deal gives Ventas ownership of an additional 72 medical office buildings and boosts Ventas’ medical office portfolio to 15 percent of its total business from 12 percent. Cogdell also completed the sale of Marshall Erdman, its design-build and development business, to Lubar & Co (Milwaukee, WI), a private equity firm. Cogdell’s medical office buildings and employees are now part of Ventas’ Lillibridge Healthcare Services (Chicago, IL). Shares of Cogdell Spencer were delisted from the New York Stock Exchange. Trinity Health (Novi, MI) completed its previously announced agreement to acquire the fiscally challenged Mercy Health System of Chicago (Chicago, IL) on April 1, 2012. Mercy Health comprises 292-bed Mercy Hospital and Medical Center (Chicago, IL) and 11 clinics. As part of the deal, Trinity agreed to spend $140 million to $150 million over the next five years for capital improvements at Mercy. Orlando Health (Orlando, FL) completed its previously announced acquisition of 160-bed Health Central Hospital (Ocoee, FL) for $181.3 million and named Shannon Elswick, president of Orlando Health’s adult hospital group, as interim president of Health Central. Orlando Health also created a new subsidiary, Orlando Health Central, to oversee Health Central’s operations. Orlando Health Central will be governed by a 13-member board of directors, consisting of 11 voting and two nonvoting members, comprising healthcare and business representatives from west Orange County as well as Orlando Health. Health Central selected Orlando Health from a group of suitors that included Florida Hospital System (Orlando, FL), HMA Health Management Associates (Naples, FL) and HCA Holdings Inc (Nashville, TN). CVPH Medical Center (Plattsburgh, NY) and Elizabethtown Community Hospital (Elizabethtown, NY) signed letters of intent to join Fletcher Allen Partners (Burlington, VT). The move would make Fletcher Allen Partners a four-hospital system. If the proposed affiliation is approved, Fletcher Allen would oversee the hospitals’ selection of trustees and CEOs, annual budgets and strategic plans, and development of new programs and services. The two hospitals, part of Community Providers Inc (Plattsburgh, NY), would retain their boards, management, workforce, licensure and endowments. The affiliation would be effective later in 2012. Financial terms were not disclosed. Medical Staffing Network Healthcare, LLC (MSN), one of the nation’s largest healthcare workforce solutions companies, today announced it has completed the sale of its MSN HomeCare division to Epic Health Services of Dallas, Texas. This sale is part of the company’s strategic plan to focus on its core competencies that include services to acute and non-acute healthcare organizations. Private equity firm TPG Capital LP is considering making an offer for LHC Group Inc (LHCG.O) as the provider of home health and hospice services reviews its strategic alternatives, two people familiar with the matter said. “Private equity makes more sense at this point. You take the company private and deal with the regulatory and reimbursement headwinds in the next couple of years,” said Kevin Ellich, senior research analyst at Piper Jaffray & Co. TPG approached LHC after it announced last month that it had appointed J.P. Morgan Securities LLC (JPM.N) to advise it on its options, the people said. This, however, may not necessarily result in an offer being made, they cautioned. LHC, which has a market capitalization of about $360 million, said on February 14 that it had begun a strategic review process to enhance stockholder value and that it had not set a definitive timetable for completion of the process. The home-care industry is benefiting from long-term demographic drivers, as more people live longer and require chronic care for more time. BAYADA Home Health Care, a leading provider of home health care services to people of all ages, announced today that is has acquired Nursefinders Home Care, an AMN Healthcare Company. As part of the acquisition, 16 Nursefinders Home Care offices will transition to BAYADA Home Health Care. They are located in Arizona, California, Colorado, Hawaii, New Jersey, New Mexico, Oklahoma, Pennsylvania, and Texas. The acquisition will not affect Nursefinders Home Care’s 19 franchise locations in Florida, Indiana, North Carolina, South Carolina, New Jersey, Tennessee, Pennsylvania, and Virginia. These offices will remain Nursefinders Home Care. HMA (Naples, FL) signed a definitive agreement to joint venture with five hospitals in Oklahoma: INTEGRIS Blackwell Regional Hospital (Blackwell, OK), INTEGRIS Clinton Regional Hospital (Clinton, OK), INTEGRIS Marshall Memorial Hospital (Madill, OK), INTEGRIS Mayes County Medical Center (Pryor, OK), and INTEGRIS Seminole Medical Center (Seminole, OK). Under the joint venture, HMA will own an 80 percent controlling interest in the hospitals and will manage their operations. When the transaction is completed, HMA will operate 71 hospitals, with approximately 10,700 licensed beds, in non-urban communities located throughout the U.S.
B. Braun Medical Inc (Bethlehem, PA) plans to acquire Nutrichem (Roth, Germany), a developer of nutritional products and supplements for patients with special dietary requirements. The move will help strengthen B. Braun’s presence in the enteral nutrition and clinical nutrition fields. Nutrichem employs around 285 people, and is involved in the development, production, filling and packaging of nutritional offerings. It has created products for B. Braun in the past on an original equipment manufacturing basis. Nutrichem will continue to operate independently. Additional details were not disclosed. Niagara County Home Health Agency was sold to Catholic Health, McAuley-Seton Home Care Division. Sale of the county’s home health agency program certificates will bring one-time revenue of $2.65 million. Catholic Health already made an $800,000 down payment; the balance is due once the state Health Department and Public Health Council approve transfer of the certificates to Catholic Health, County Manager Jeffrey Glatz said. It’s expected the state approval process will take six to 12 months, according to Public Health Director Daniel Stapleton. In the meantime, Catholic Health will begin taking on Niagara County patient care slowly, as county-employed nurses and therapists leave the county payroll, Stapleton said. County staff will handle as much of the patient load as they can and cede the rest to the private agency. In its offer to buy NCHHA, Catholic Health guaranteed the county it will hire any agency-associated nurses and therapists who want to work for Catholic Health. Caregivers could end up staying with “their” patients, and those patients particularly might never notice the ownership transition, Stapleton said. Rotech Healthcare Inc reported the acquisition of three home medical entities: Best Care HHC; NeighborCare Home Medical Equipment of Maryland; and NeighborCare Home Medical Equipment. Rotech officials anticipate that these acquisitions will contribute approximately $11 million in projected annual revenue in 2012. Medical Transcription Billing Corp., Somerset, N.J., has acquired United Physicians Management Services, Winston Salem, N.C. Terms of the deal were not disclosed, said Stephen Snyder, president of Medical Transcription Billing, a privately held healthcare information technology company. United Physicians Management Services, a billing and practice management company, also was privately held. Snyder said the deal was the latest in a series of acquisitions and would expand the company’s presence in North Carolina and its anesthesia and pain management specialty. Walgreen will buy some specialty pharmacies and mail service pharmacy businesses from BioScrip $225 million, the drugstore said Thursday. BioScrip will get $170 million in cash when the deal closes, with the company retaining about $55 million in accounts receivable and working capital liabilities. BioScrip could get another $60 million depending on how much business Walgreen is able to keep. BioScrip distributes drugs used to treat chronic conditions including HIV, cancer, and the side effects of organ transplants. It runs 30 specialty pharmacies in 16 states and Washington DC. The companies said the businesses had $938.5 million in revenue over the nine months ended Sept. 30. BioScrip said it will focus on its infusion pharmacy and home health service businesses, which it sees as its core businesses. It also runs pharmacy benefits management and cash card businesses. The Elmsford, N.Y., company plans to use the proceeds from the sale to expand its infusion pharmacy services, find strategic growth opportunities, and pay down debt, and it said the sale will add to its profit in 2012. Shares of BioScrip Inc. jumped 70 cents, or 12 percent, to $6.54 in morning trading. The companies said the deal will close in late April. Walgreen, which had $54.5 billion in revenue over its last three quarters, said the deal won’t affect its fiscal 2012 profit and will add slightly to its profit in fiscal 2013. Walgreen Co. is based in Deerfield, Ill., and it is the largest drugstore chain in the U.S. with 7,818 stores. Its shares picked up 19 cents to $33.41 in morning trading. C.R. Bard Inc (Murray Hill, NJ) acquired Lutonix Inc (Minneapolis, MN) for a purchase price of approximately $225 million paid at closing, with an additional $100 million to be paid upon approval of Lutonix’s drug-coated percutaneous transluminal angioplasty (PTA) balloon. The deal is structured as a merger. Bard expects the transaction to reduce 2012 earnings per share by approximately 25 cents, excluding items that affect comparability. AMN Healthcare Services, Inc. (NYSE: AHS) announced it has completed the sale of its home healthcare business to BAYADA Home Health Care, Inc. effective January 30, 2012. As a result of the sale, AMN will receive cash proceeds of $9.65 million and retain working capital of approximately $4 million. As a result of the sale, the home healthcare segment will be reported in Discontinued Operations for all applicable periods presented in our consolidated financial statements. Due to this presentation, fourth quarter revenues from Continuing Operations are now expected to be between $219 million and $223 million, which is consistent with previous guidance excluding approximately $13 million of revenue associated with the home healthcare segment. Gross margin is expected to be at the high end of the previous range provided of 27.5% to 28.0% and adjusted EBITDA margin is expected to be above the prior target of 6%. The sale of this segment is not expected to have a meaningful impact to fourth quarter income from Continuing Operations. The Company’s 19 franchisee-owned Nursefinders offices were not included in the transaction. PSS World Medical (Jacksonville, FL) acquired Blue Medical Supply & Equipment Inc (Jacksonville, FL), a supply-chain solutions company of consumable medical and surgical supplies, diagnostic equipment, and pharmaceutical-related products. Additional details, including terms of the sale, were not disclosed. FTC filed a lawsuit to block Omnicare’s hostile takeover of rival institutional pharmacy provider PharMerica Corp. The FTC complaint alleges (PDF)that the combined long-term-care pharmacies would harm competition and could allow Omnicare to raise the drug prices for the 1.6 million beneficiaries who reside in skilled-nursing facilities and are covered by Medicare Part D plans. Omnicare, which is based in Covington, Ky., and PharMerica are the two largest institutional pharmacy companies in the U.S. based on revenue. Concern about antitrust scrutiny has been a key issue in PharMerica’s opposition to the deal. The FTC alleges that the combined company would service roughly 57% of the licensed skilled-nursing facility beds in the U.S. The next largest long-term-care pharmacy makes up 2% of the market. The suit was announced shortly after Omnicare extended its tender offer to buy all outstanding shares of Louisville, Ky.-based PharMerica for the fourth time. Dynamic Healthcare Services acquired by GMH Ventures Pennsylvania-based Dynamic Healthcare Services Inc. announced that it has been acquired by a subsidiary of GMH Ventures LLC. The acquisition was made in partnership with Dynamic’s key management team, including its founder and president, Terry Luft. The terms of the acquisition were not disclosed. Dynamic was formed in 2000 as the parent company to Central Medical Equipment and ESMS Home Medical, and has grown over the past decade to become one of the predominant distributors and providers of residential medical equipment, respiratory therapy products and services, and complex rehabilitation products and services in the western and central Pennsylvania markets. Two private-equity firms have acquired HealthMEDX, an Ozark, Mo.-based software company that specializes in long-term and post-acute care. Boston-based Spectrum Equity Investors and Trident Capital, Palo Alto, Calif., will own a majority interest in the company, according to a news release. Covidien (Mansfield, MA) acquired Reverse Medical Corporation’s (Irvine, CA) line of neurovascular guide catheters. Reverse Medical will retain possession of its thrombectomy technologies and products and will continue its development of new technologies for the treatment of neurovascular disorders, including both ischemic and hemorrhagic stroke. Terms of the deal were not disclosed. ATG Rehab acquires Rocky Mountain Medical Equipment – ATG Rehab, a complex rehabilitation equipment provider of wheelchairs and mobility equipment, announced last week that it has acquired the complex rehabilitation technology business segment of Colorado-based Rocky Mountain Medical Equipment (RMME). RMME has been a provider of complex rehabilitation technology, prosthetics, orthotics, wound care, bathroom safety and electrotherapy for more than 19 years. RMME’s 3,100 mobility customers will be transitioned to ATG Rehab, and RMME will continue to offer its other services from its Denver location. Drive Medical buys Mountway Holdings – Drive Medical announced last week that it has bought Mountway Holdings, a U.K.-based manufacturer and distributor of bathlifts and independent living aids. “The combination of their innovative design-led philosophy and high value-added products will accelerate Drive’s growth in the bath and independent aid product categories in the U.K. market,” stated Drive Medical Chairman and CEO Harvey Diamond in a release. It’s the third acquisition for Drive in four months. In October, it announced it bought Inovo/Chad Therapeutics and ActiveCare Medical. Mountway is known for its Neptune, Aquila and Splash rigid bathlifts; the Serena pillow lift; and the Solo patient toilet lift. Terms of the acquisition were not disclosed. Mentor Capital, Inc. (OTC Markets: MNTR) announced that it has executed a long-term funding agreement to receive a current 50% ownership in Brighter Day Health, LLC, pending their expected shareholder approval. Brighter Day provides face-to-face doctor interaction through secure computer video set-ups for ultra-economic health care delivery at nursing homes and similar treatment facilities. Mentor Capital is to provide $5.0 Million in future growth funding for Brighter Day Health to continue its multi-state expansion plan. Positron Corp acquires Manhattan Isotope Technology – Positron Corp (Fishers, IN) acquired all of the assets, business operations and retained all employees of Manhattan Isotope Technology LLC (MIT) (Los Alamos, NM). MIT will receive cash advances, assumption of certain indebtedness and earn-out consideration of $3.5 million based on 20 percent of the net income from sales relating to radioisotope and radiopharmaceutical operations of MIT. Positron Corp is a molecular imaging company specializing in the field of nuclear cardiology. The Linde Group has signed an agreement for the acquisition of the Continental-European homecare business of the industrial gases company Air Products at an enterprise value of EUR 590 m. This business achieved annual sales of EUR 210 m in 2011. The transaction comprises Air Products’ homecare operations in Belgium, France, Germany, Portugal and Spain with around 850 employees. “Healthcare is one of our three strategic growth pillars. It has proven to be a stable business and builds on the mega-trend of changing demographics,” said Professor Dr Wolfgang Reitzle, Chief Executive Officer of Linde AG. “With this transaction we are expanding our competencies and scaling-up our product and service offering, delivering quality care to around 260,000 additional patients. This puts us in a very good position to continue to drive innovation and develop new services. The acquisition will improve our position in a structural growth market and will make us one of the market leaders in the European respiratory homecare business.” Homecare is the term applied to medical services relating to the treatment of patients in settings other than hospitals. It comprises respiratory services such as oxygen therapy, sleep therapy, and ventilation services. In the 2010 financial year, Linde achieved global sales of around EUR 280 m in this product area. In the Healthcare segment as a whole, which comprises not only Homecare but also Hospital Care (the supply of medical gases and services to hospitals), Linde achieved sales in the 2010 financial year of EUR 1.1 bn. Linde is the second largest supplier of medical gases and related services in the world. Siemens Healthcare (Malvern, PA) acquired MobileMD (Yardley, PA) in late 2011. MobileMD’s technology is used by more than 110 hospitals and more than 2,000 physician practices, and enables connectivity regardless of location, affiliation or EMR technology. Details about the agreement were not disclosed. Sanomedics to make second buy in DME industry – MIAMI – Sanomedics has its eyes on a second durable medical equipment provider that specializes in sleep treatment devices and services. The company, which manufactures and distributes baby and pet thermometers, has announced that it has signed a letter of intent to acquire a growing East Coast provider with revenue of more than $2 million. In December, Sanomedics announced that it had signed a letter of intent to acquire a DME provider on the West Coast that specializes in sleep. GMEA acquires Allen Medical – PHOENIX – Global Medical Equipment of America (GMEA) announced last week that it has acquired Allen Medical Supply in Opelousas, La. Allen Medical Supply offers durable medical and respiratory equipment, power wheelchairs and orthotics. It’s the third acquisition in as many months for GMEA. Terms of the deal were not disclosed. Zimmer Holdings Inc (Warsaw, IN) acquired Synvasive Technology Inc (Reno, NV). The deal enhances Zimmer’s product portfolio with the addition of Synvasive’s STABLECUT surgical saw blades, and the eLIBRA Dynamic Knee Balancing System™ for soft tissue balancing. Terms of the acquisition were not disclosed. Baird Capital Partners (BCP) announced that portfolio company MedData, Inc. has acquired Grand Rapids, MI –based MedDirect, which provides revenue cycle management services and advanced personalized patient communications to healthcare organizations. MedDirect works with its national base of clients to increase patient pay reimbursements, enhance the patient pre- and post-clinical experience, and transform patients into well-informed and loyal customers of their respective providers. Universal American Corp. (NYSE: UAM) today announced that it has entered into a definitive agreement to acquire APS Healthcare, Inc. (“APS Healthcare”), a leading provider of specialty healthcare solutions for $227.5 million. The transaction significantly enhances Universal American’s breadth of capabilities to participate in the emerging growth opportunities in healthcare, including the large dual eligible opportunity. APS Healthcare brings a full range of healthcare solutions, including disease management and care coordination, clinical quality and utilization review, and behavioral health services, that enable its customers to reduce healthcare costs and improve the quality of their care. APS Healthcare’s 400 customers include Medicaid Agencies, state and local governments, health plans, employers and labor trust groups and it serves approximately 30 government programs in 25 states and Puerto Rico covering over 17 million members, making it one of the largest specialty healthcare services companies in the country. APS Healthcare is headquartered in White Plains, NY with 2011 revenues of more than $300 million. APS Healthcare is currently owned by funds affiliated with GTCR LLC, a leading private equity firm. The purchase price for the transaction is (i) $227.5 million, consisting of $147.5 million in cash to retire APS Healthcare’s outstanding indebtedness and other liabilities, and $80 million in Universal American common stock, plus (ii) up to $50 million in potential performance based consideration, payable in cash in March 2014 to the extent APS Healthcare’s financial results exceed certain thresholds. Universal American expects the transaction to be accretive to earnings in 2012. The transaction, which is expected to close within sixty days, is subject to customary closing conditions, including regulatory approvals. Waud Capital Partners (“WCP”) announced that its portfolio company, Adreima (the “Company”), has acquired Accounts Receivable Management and Data Services, Inc. (“ARMDS”), the leading provider of Medicaid and Charity Care eligibility services in the state of New Jersey. Health Net Inc (Woodland Hills, CA) entered into a definitive agreement to sell its Medicare stand-alone Prescription Drug Plan (Medicare PDP) business to a subsidiary of CVS Caremark Corp (Woonsocket, RI) for approximately $160 million in cash. The Medicare PDP has annualized revenue of approximately $490 million and serves 400,000 members in the U.S. If approved by CMS (Baltimore, MD) and other regulatory agencies, the transaction is expected to close in Q2 2012. Prospect Medical Holdings (Santa Ana, CA) inked an agreement to acquire Nix Health Care System (San Antonio, TX) from Merit Health Systems LLC (Louisville, KY). Nix Health CEO John Strieby will serve as its chairman, president and CEO under Prospect’s ownership. Terms of the acquisition were not disclosed. Bristol-Myers Squibb said it signed a definite agreement to acquire Inhibitex, an Alpharetta, Ga.-based biopharmaceutical company developing products to treat chronic hepatitis C, shingles and Methicillin-resistant Staphylococcus Aureus infections, for $2.5 billion. Memorial Health System has inked a deal to buy Abilene Family Physicians PA for $475,000 and acquisition of equipment and furnishings for $106,845, plus the purchase of accounts receivable, office supplies, medical supplies and injectibles at their fair market value. The deal was approved by the board members. Symmetry Medical Inc (Warsaw, IN) completed its acquisition of the surgical instruments business of Codman & Shurtleff Inc (Raynham, MA), a Johnson & Johnson Inc (New Brunswick, NJ) company. Beginning Q1 2012, Symmetry will integrate Codman’s line of surgical instruments with its current hospital direct business, Specialty Surgical Instrumentation (SSi). The combined hospital direct general surgical instruments business will be re-named Symmetry Surgical and is expected to have more than $100 million in annual sales. Ascension Health (St. Louis, MO) completed its previously announced acquisition of Alexian Brothers Health System (Arlington Heights, IL), for undisclosed terms, on January 1, 2012. The Illinois Health Facilities and Services Review Board approved the deal and the final agreement was signed in third week of December 2011. Ascension is the nation’s largest Catholic health system, with $15 billion in annual revenue. Alexian is a Catholic healthcare system with nearly $1 billion in annual revenue. The agreement includes Alexian’s two acute care hospitals and two specialty facilities in Chicago, plus senior care facilities in St. Louis, Milwaukee and Chattanooga, TN. Despite Ascension’s headquarters location in St. Louis, Alexian Brothers Landsdowne Village (St. Louis, MO) and Alexian Brothers Sherbrooke Village (St. Louis, MO) will be its first St. Louis-area facilities. The Clorox Company (Kissimmee, FL) acquired Aplicare Inc (Meriden, CT) and HealthLink (Jacksonville, FL), two providers of infection control products for the healthcare industry. Aplicare specializes in developing and manufacturing different forms of products for helping prevent skin infection from needles or surgery, and HealthLink bundles a wide assortment of products, including AloeGuard antimicrobial hand soap, for use by individual physicians, doctors’ offices, outpatient care centers and other healthcare facilities. The combined purchase price for both transactions was in the range of $80 million to $90 million, subject to post-closing adjustments, and was funded through cash and commercial paper borrowing. Aplicare and HealthLink together represent more than one percent of Clorox Company’s annual sales on an ongoing basis, and the deal will be slightly dilutive to diluted earnings per share in FY 2012. Transition Healthcare Company LLC (Franklin, TN) sold MetroSouth Medical Center (Blue Island, IL) to Community Health Systems (CHS) (Franklin, TN) for $40 million after making a net investment of about $23 million four years ago. At the time of purchase, the hospital reduced its beds to 330 from 410. MetroSouth has 1,200 employees and is the area’s largest employer. It is unknown whether the hospital is profitable at this time. The sale is scheduled to close in Q1 2012. MHA LLC (Florham Park, NJ) reached an agreement in principal with Extendicare Health Services (EHS) (Milwaukee, WI) under which MHA’s subsidiary, Navigator Group Purchasing Inc (Nashville, TN), will acquire UHF Purchasing Services (Milwaukee, WI) and Star Purchasing Services (Milwaukee, WI) from EHS. The acquisition is MHA’s third and largest GPO acquisition in the LTC market within the last 12 months, and the transaction is expected to position Navigator as the largest GPO serving the LTC market in the U.S. The transaction is set to close in early 2012. Halcyon Healthcare, a portfolio company of Health Evolution Partners (“HEP”), announced today the completion of two hospice acquisitions in central and northern Georgia. The acquired companies, Compassionate Hospice and Altus Healthcare & Hospice, mark the first two transactions for Halcyon. Halcyon was formed in 2010 by HEP, Dan Kohl and Jack Draughon to build a leading hospice and home health company in the Southeastern U.S.
Home Care by Black Stone has acquired Caring Hearts Home Health Care, which was the largest minority-owned home care provider in Greater Cincinnati and Northern Kentucky. PinnacleHealth System will merge its home health care services with an entity operated by Lancaster General Hospital and Reading Hospital. PinnacleHealth Home Care will continue to operate under that name but will be managed by VNA Community Care Services, the Lancaster General-Reading entity, Pinnacle said in a written statement. About 80 of its 110 employees have accepted jobs with VNA, Pinnacle spokesman Gray Onobrakpeya said. The Pinnacle statement said other employees will be offered jobs within Pinnacle or will receive help finding work outside Pinnacle. Onobrakpeya said no other details about employees were available late Wednesday. The Ensign Group, Inc. (NASDAQ: ENSG) announced that one of its subsidiaries has acquired Homecare Solutions, a small home health agency based in Denver, Colorado. The acquisition will be operated by a subsidiary of Cornerstone Healthcare, which operates the company’s home health and hospice division. It joins Horizon Home Health and Hospice, Ensign’s existing home health and hospice operation in Idaho, Custom Care Hospice, Ensign’s hospice operation in the Dallas, Texas market and Symbii Home Health and Hospice, Ensign’s home health and hospice operation in the Salt Lake City, Utah market. Ensign purchased the agency with cash and expects the transaction to be mildly accretive to earnings in 2012. Baxter International Inc (Deerfield, IL) plans to acquire Synovis Life Technologies Inc (St. Paul, MN), a manufacturer of implantable products for soft-tissue repair in surgical procedures. Under the agreement, Baxter will pay $28 per share for Synovis, which totals $325 million in equity value or about $260 million after adjusting for net cash. Synovis had approximately $70 million in sales 2010. The deal is expected to close in Q1 2012. The acquisition is expected to reduce Baxter’s 2012 earnings by $0.04 per share due to accounting for the deal and transaction costs but will be accretive to earnings beginning in 2014.